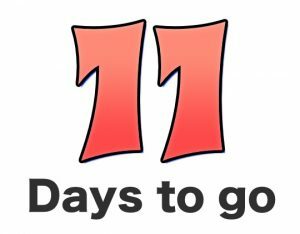 SCK Come & Try Day is Only 11 Days Away…. And You’re Invited!! If you are reading this post prior to Saturday 16th February, you are in for a real treat. We will soon be hosting our 2019 Sign On Day (Come and Try) and you and your family are invited. Our goal at SCK is to “transform lives, one family at a time” by teaching you a combination of traditional karate (Chito-Ryu Karate-Do) and valuable life skills which may one day save your life. Our SCK team is lead by husband and wife team, Martin & Sandra Phillips who have invested more than 18 years serving families of the Sunshine Coast community and continue to provide a safe, positive and supportive learning environment for all to enjoy. You’ll get to meet and train along side of Martin & Sandra on Saturday the 16th February along with their team of seniors who will support you throughout this experience. But, what if you’ve never done anything like this before? We understand that it can be difficult to try new things and step out of your comfort zone especially when you are stepping into an unfamiliar environment. We too are students and experience these same feelings from time to time, but we have learned that we always have 2 choices. We’ll share these quickly here because they are of value. Even if you don’t come and try a class at Sunshine Coast Karate, you can at least take something away that may serve you well in your life. Option # 1: Do what is familiar and easy and don’t step out of your comfort zone, even when there is a part of you that would like to have a go. You may find “fear” taking over the steering wheel and steering you to a place that feels comfortable and safe. Yet, if you continue to choose the easy road (Option # 1), in time, you may find yourself overwhelmed with “regret” and a sense of not growing into the person that you were meant to be. That’s no way to live your life, and within your heart, you know it’s not how your life is meant to be. You are a good person and you deserve so much more. Every time you allow fear to take control of your life, you give power to fear, you elevate fear and you strengthen it’s presence in your life. The longer you feed fear in this way, the harder it can be to choose Option # 2. It can feel as if you are imprisoned and a slave in what is meant to be a free world. Option # 2: You stand tall, take a breathe and share a smile. You decide to have a go at something new. You realise that “Fear is False Evidence Appearing Real” and you learn that you can “Face Everything And Rise”. You learn that on the other side of Fear is Freedom and that you can choose “Option #2” more often in your life. Every time you make a choice in this direction your smile gets bigger, you feel more alive and you welcome a truck load of passion and enthusiasm into your life. You will become stronger and more compassionate every time you deliberately choose this path. What is more amazing is what happens to the people in your life that are fortunate enough to share your company each day. I believe that if you are still reading, you will soon know the impact that you will have on others. And, you have now found a community of like minded people at SCK who can support you moving forward. Below is more details about our upcoming Sign on Day. We would love to meet you on Saturday 16th February and if you require further information, be sure to connect with us. 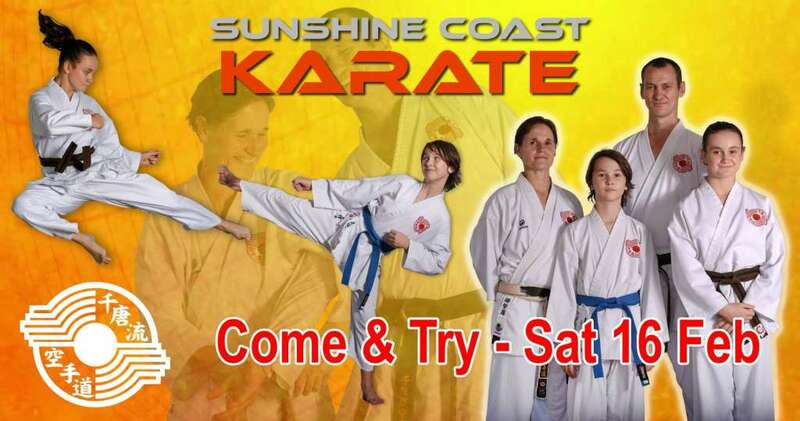 Join us as we count down the days leading up to our 2019 Sunshine Coast Karate Come & Try Day. Learn more about the Sign On Day on Facebook. Class sizes for the sign on day are strictly limited, because we want to make it a great experience for all participants. So, if you have booked in to a class that is already full, one of our staff members will be in touch with you to make other arrangements so that you can still do a trial at another time. If you have any additional questions, connect with our staff and we’ll do our best to help you. We look forward to meeting you soon. 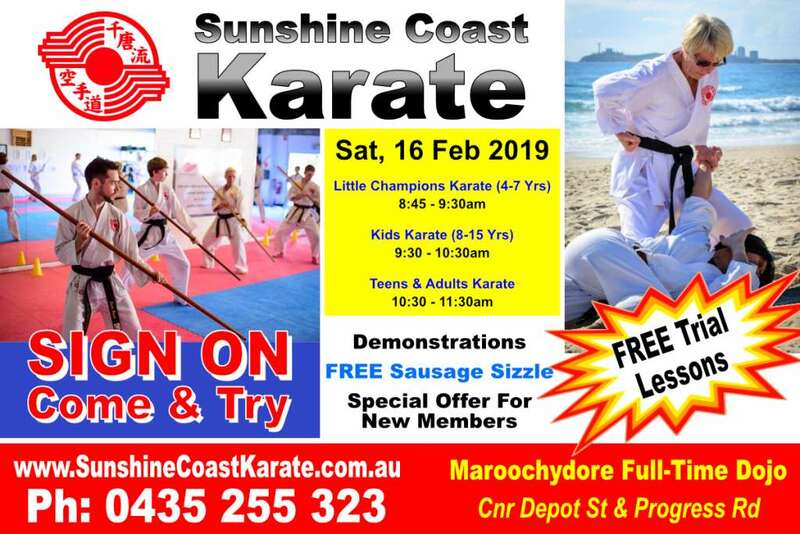 Sunshine Coast Karate © 2019. All rights reserved.